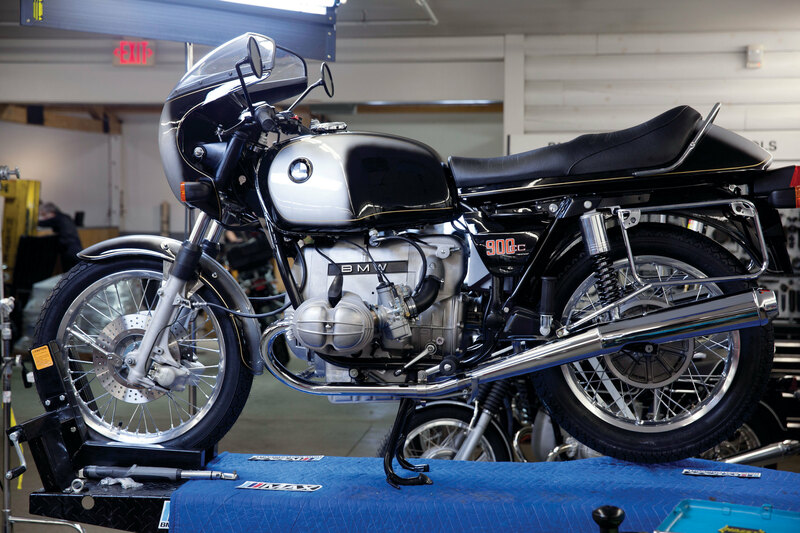 Home » Bike Reviews, News & More » Here’s a classic 1974 BMW R 90 S built from parts! 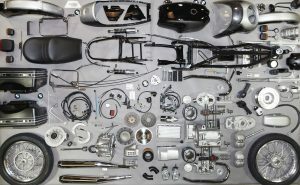 This is the ultimate model motorcycle kit! A classic BMW R 90 S lovingly built from 1655 original but new BMW parts to create a one-off classic BMW with nothing on the clocks worth around £30,000! Thankfully for we classic owners, many forward-thinking manufacturers are realising there is money to be made in ‘new old stock’ or even ‘remanufactured’ parts for old motorcycles. 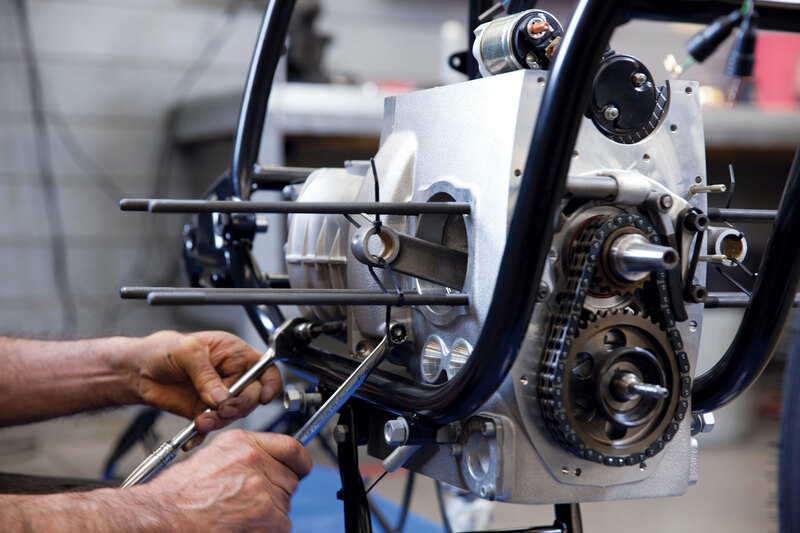 BMW Motorrad not only produces a wide-range of cool-looking retro machines which tick many of our classic-bike riding boxes, but they also have a bulging spares department for old models and they embarked on a stunning one-off build to prove a point. The BMW Group Classic spares department in the US of A decided to see if they could actually build a classic Beemer model from spares… and they managed it. 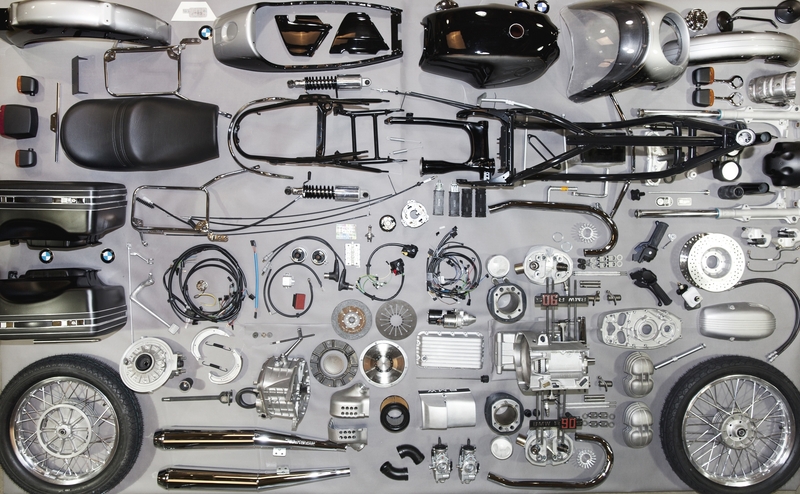 Thankfully BMW Motorrad retained an array of original tooling (moulds, dies, patterns etc.) so they could reproduce many parts from past eras. But what to make? Well, it had to be one of the most classic of Beemers – ever. You see here a factory-fresh 1974 BMW R 90 S. This wasn’t only a landmark model for BMW themselves, but it set a trend in the 1970s and beyond for a motorcycle which – may not be the most powerful – but most definitely handled better than most (if not all) of the opposition. OK, so it had only 70bhp, but what it did with each of those ponies was simply brilliant. It not only made the BMW R 90 S into a great road bike but also the basis for a good race bike. The Boxer twin’s most memorable race was the first year of the American AMA production championship where Reg Pridmore and the R 90 S clinched the 1976 title. 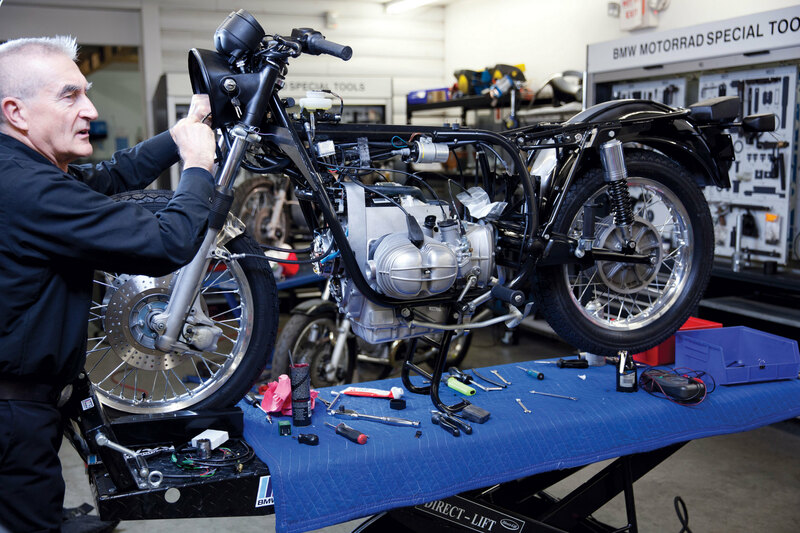 As an exercise in how comprehensively stocked the BMW Group Classic department is, in December 2013 MAX BMW Motorcycles began to build – from genuine packaged spares – a brand-new R 90 S. The build took three days and was completed on the fourth day by a successful test ride by Max Stratton, owner of MAX BMW Motorcycles, following an extensive top to bottom check that would make a PDI look like a cursory glance, of course! Nothing was left to chance here! 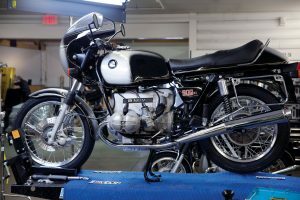 Master Technicians from the three MAX BMW dealerships of Connecticut, New Hampshire and New York took part in the build of the 1974 specification R 90 S, which was finished in the original two-tone ‘metallic silver smoke’ paint scheme. This was the colour first seen at the 1973 Parish Motor Show where the bike made its debut and – while it may not be as famous as the ‘orange’ is still pretty striking and uber-cool to this very day. The entire build over all four days was recorded and many photos were taken, with images being posted frequently on Facebook. 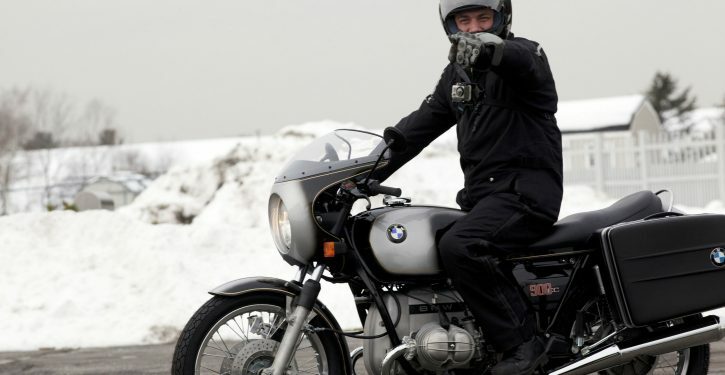 Both moving pictures and stills were lapped up by classic BMW fans across the world as the bike took shape over the three-day build period and the run-up to the actual ride itself. 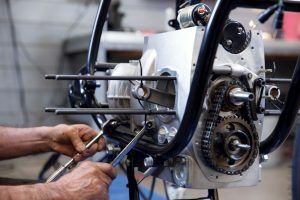 Of course it wasn’t a simple case of bolting an engine into a frame, the motor itself had to be built up from a short block, which had the crank, cam and cam-chain already installed. Max admits the engine build was one of the easiest tasks, but wheels too, had to be built from rims, so that meant finding the parts for the hubs and then sourcing the steel wire spoke sets. 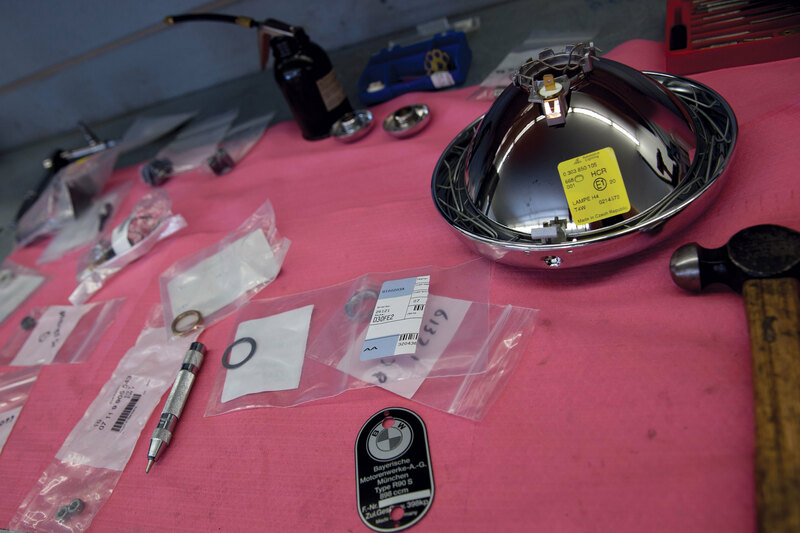 At all points of the build original/new BMW parts were sourced and used. 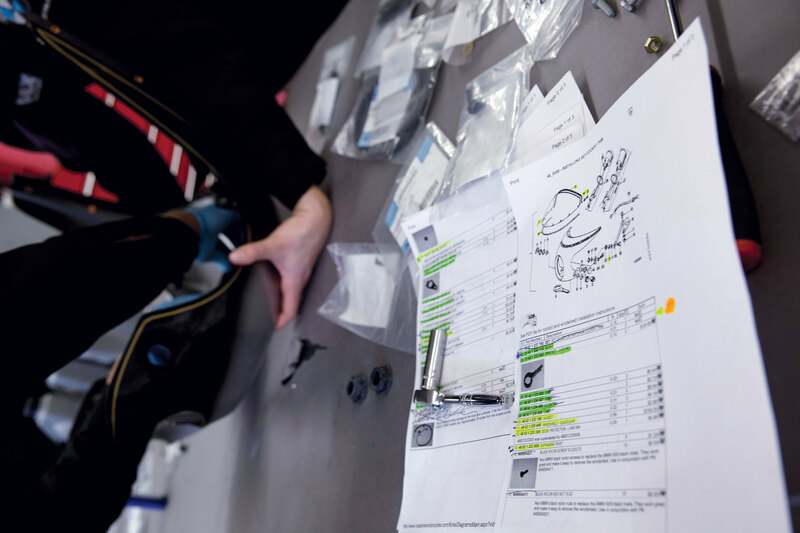 So, not only were they building everything from the very start – they were ordering parts too! Just imagine all the tech guys and parts specialists going through the parts lists and the many exploded diagrams researching and ordering every component. It was like a restoration but one that starts from ‘ground zero’ with not a single part to begin with! Thankfully, MAX BMW is officially recognised as a classic spares specialist. All the three dealerships stock classic parts and train their technicians on vintage BMW bikes. 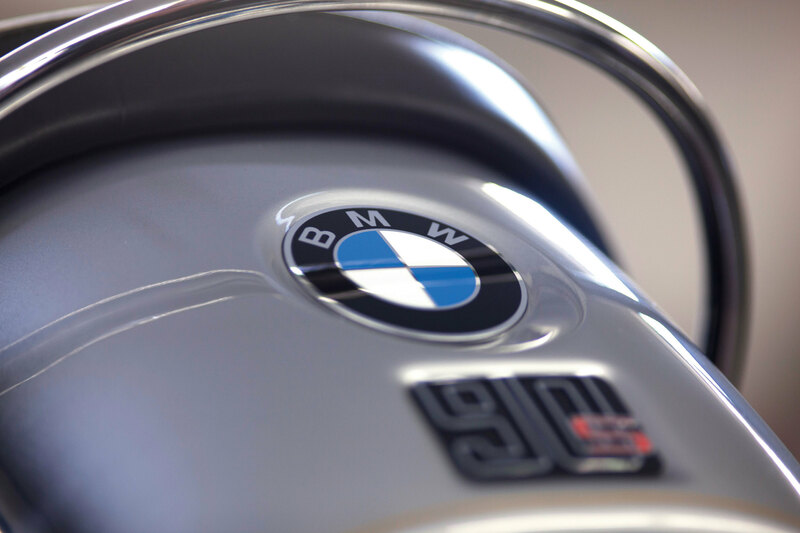 Customers now bring MAX BMW work from all over the continental USA. Many of the guys (and gals) employed love their work and indulge in various BMW-two-wheeled-inspired events at weekends: it’s a great advert for them, their passion and their employers and this would be one helluva rolling homage to their all-round dedication. “The BMW classic scene is big and continues to grow all the time,” explains Max. “I think many motorcyclists are at a point in their life that they want to go back to the first bikes they had or wish they had. The bikes are available and so are the parts – this makes it very easy for anyone to get into the vintage BMW scene.” And the retro scene too – don’t forget that BMW also produces the R nineT Racer – a modern ‘homage’ to the original R 90 S model….